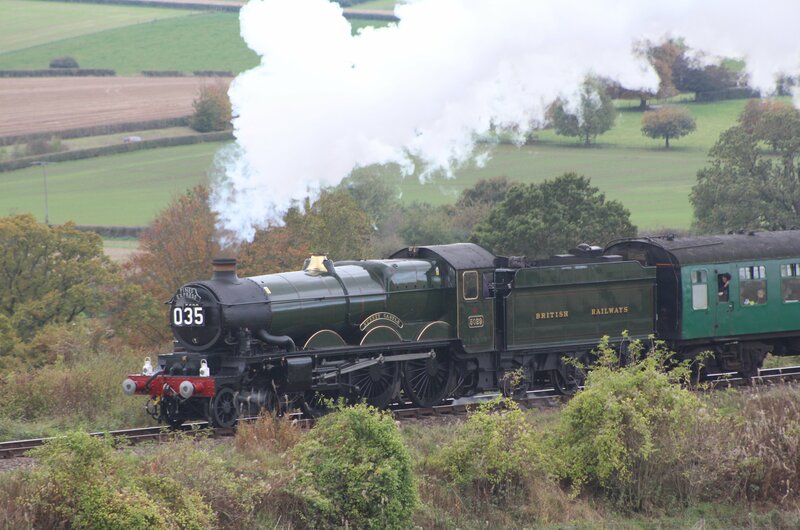 In summary, I have to say that the Watercress Line held a a fantastic steam gala last weekend. 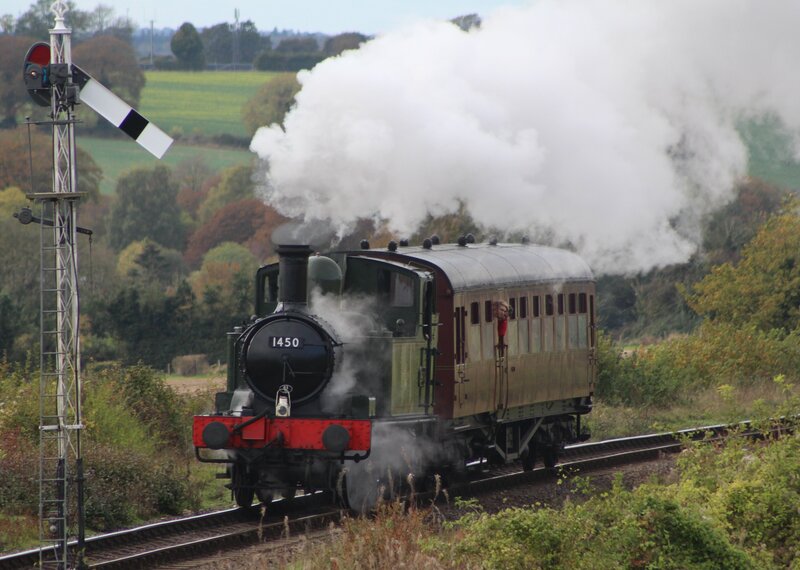 With four Great Western visiting locomotives ranging from the mighty Castle to the tiny 14xx class supplemented by the railway’s home fleet, there was non-stop steam action. 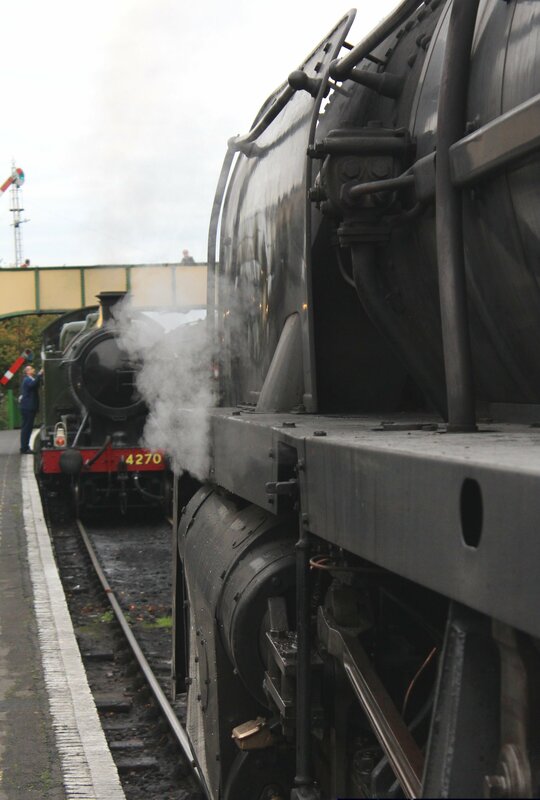 It wasn’t just a great day for seeing locomotives. I enjoyed the day with fellow locoyard blogger Simon of volunteer diaries fame. We meet a other friendly volunteers too, who were only too happy to share their experiences and passion for heritage railways. There was plenty to see along the line, with entry including rover tickets allowing you to travel for as long as you wish. Ropley, as usual, was the centre of many enthusiasts attention, with good reason. 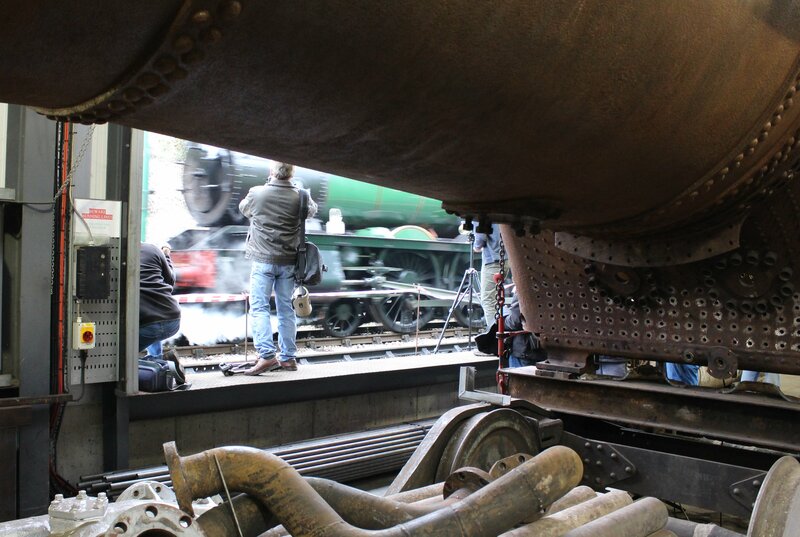 The loco sheds were open, including the boiler and machine shops, with plenty of volunteers on-hand to explain it all! Please click here to find out more! Fast becoming a regular feature at the line’s gala events, the model railway in the former Parcels and Miscellaneous Van was in operation at Alresford (click here to read more.) Also in Alresford and on the model railway front, was Dave Jones of DJ Models. It was great to have a chat with him about the forthcoming releases from this new firm. Please click here or on the picture below of a DJ Models pre-production 00 scale Hunslet Austerity tank engine to read more. 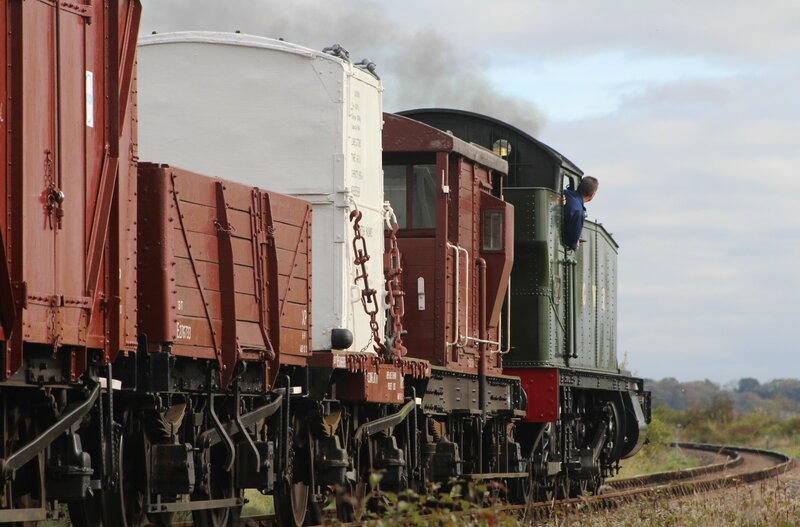 Please scroll down to the bottom of this blog post to see links to other posts that look at the visiting locomotives in more detail and other points of interest from the event. Simon and I noticed that the two express locomotives operating wore headboards, that added even more interest. 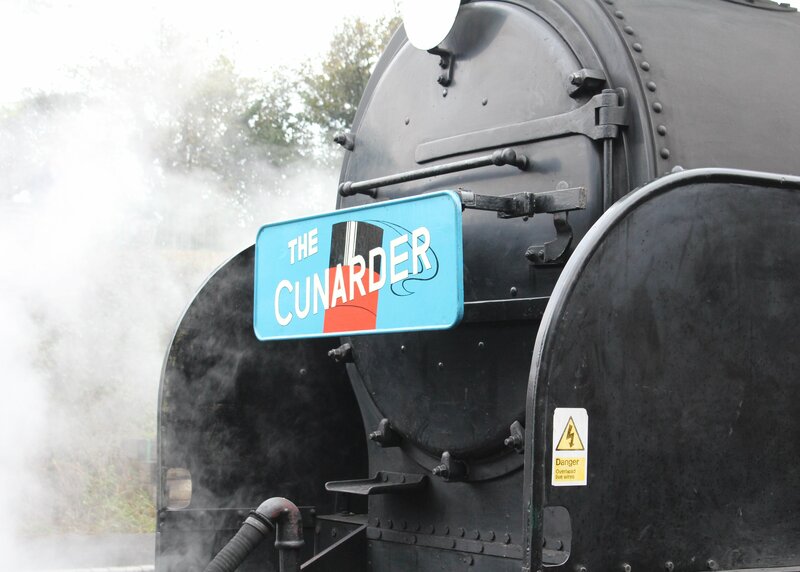 850 Lord Nelson wore the striking “Cunarder” headboard (click here to read more), whilst 5029 Nunney Castle was running the Pines Express. 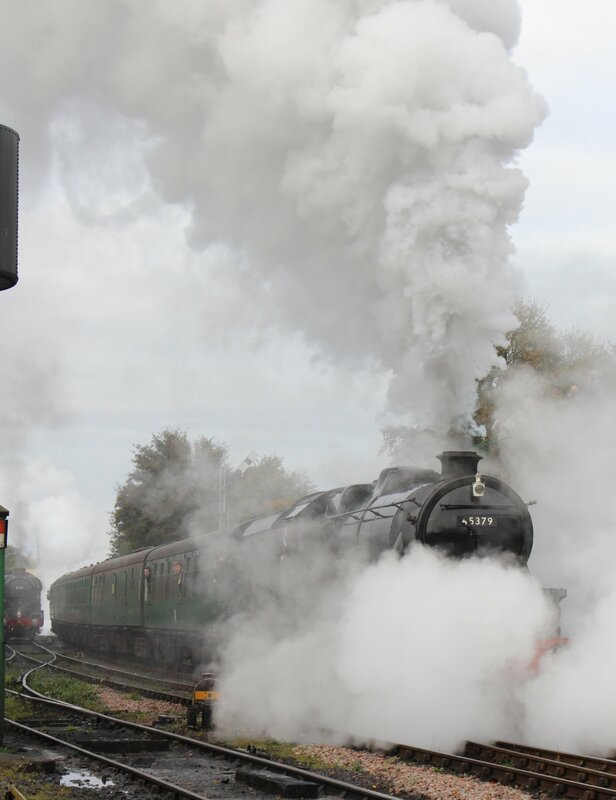 Finally, I just want to say a really big thank you to the railway, it’s staff and volunteers, without whom such fantastic scenes would only be in the past. When is a Hall not a Hall?